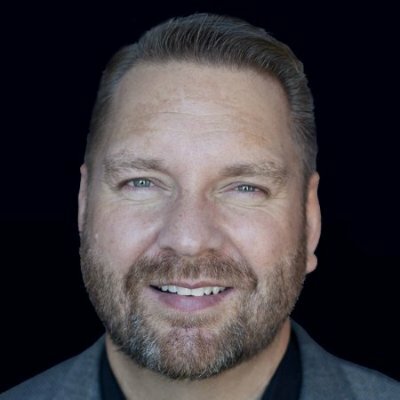 This guest post was contributed by Lee Odden, CEO, TopRank Marketing. Eyes fixed on his computer monitor, Jack felt perspiration form on his forehead as he waited in anticipation for the flood of visitors to the new campaign he and his team just launched. Anticipation turned to nervousness as he looked around the room and asked, “Who’s promoting this content?” All Jack got in return were blank stares and a bad case of Invisible Content Syndrome. The good news is that “Dr. LinkedIn” offers some cure. According to Digiday, likes and shares on LinkedIn are up more than 60% year-on-year, and LinkedIn tops just about every list including the B2B Content Marketing Report as the most effective social media platform for B2B marketers. People love nicely wrapped gifts. Because getting one is way more fun than getting a gift “wrapped" only in a shopping bag from the airport Hudson’s News, right? Most of us write a blog post, upload our podcast, or finish editing our video, and as soon as it's released, we promote it everywhere. We tweet it and summarize it on LinkedIn. We post it on Facebook and email it to everyone. We create an Instagram story and Snap it. In an hour our content is distributed everywhere. We vomit our content on our audience all at once. The result is a much more successful content distribution and promotion strategy that builds momentum and social proof. Go ahead, give it a shot. You'll be so glad you did. When we promote MobileMonkey's great content, we don't "give away" the ending in its distribution and promotion. We hint at the payoff in a way that leaves the reader shouting, "Tell me more!”. A secret weapon, a major loss, something personal, a traditional model turned upside down... just a hint can avoid invisible content syndrome. This isn't revolutionary, but it's overlooked and a constant in MobileMonkey's campaigns. Have a plan. You spend so much time creating epic content, so why not spend that same amount of time coming up with a plan for distribution and promotion? It can be a down and dirty spreadsheet — fill in dates, audience, messaging, and what you’re trying to achieve. Mix up the messaging, hashtags, keywords, days, times that best suit your customers, set up UTM parameters to then analyze what’s working. Find ways that your content can help someone solve a problem. Don’t assume they’ll find you or your content without you doing legwork on your end. It's remarkable to me that brands will spend a considerable amount of money on building something, but very little on promoting it. I believe brands should take the same approach that networks do with televised content: Spend 5X what you spent to make something to promote it. The tactic that we use to drive a wealth of high value traffic is creating bite-sized relevant content pieces that we can guest post on other high traffic sites and link back to our tent pole content. Effectively, you end up borrowing traffic from sites that already have your audience. We tend to make the content asset freely available in HTML format, but with key capture points such as Wistia's Turnstile feature, which creates a point in a video where you can't watch any further without giving your email address. We'll also use Pay with a Tweet to offer the audience download versions. So, you end up creating more opportunity to capture leads and drive social sharing without completely gating your content. Great content brings expertise to the table, but there’s hardly anyone who’s learned all the tough lessons themselves. To help promote content, tap into people who have solved the problem that your content helps your audience with. Get their insights, expertise and, if they’re really honest, epic fails so that your audience can get some leap-frog learning and avoid the same mistakes. Doing this helps make invisible content visible in two ways – it’s sure to hit sore spots and pitfalls that your audience deals with, so they’re more likely to share. And when you make it easy for the experts you’ve tapped to share the final content, you’ve added breadth, depth and credibility to it as well. People like to be a part of, and share, great advice. My secret to getting content seen is to focus on the real needs of my audience. If they are social media marketers struggling with exposure in the Facebook News Feed, you can bet I'll be talking about that. When you hit a real need, people will share your content and talk about it. The only way to really understand the pains of your audience is to really know them. That's where conducting studies, getting on the phone, or meeting them in person can be exceptionally valuable. There's one thing I do every time to ensure my content gets seen, I create a promotion plan for every content idea that I come up with. This sounds very simple and it is however it's an extra step rarely taken by content marketers. My rule of thumb is that if I can't come up with at least 5 ways to promote the content than it shouldn't be written. When you start with promotion you build content promotion into the article itself which ensures it receives maximum visibility. It's also important to note that content promotion takes significant time so you need to carve out time and resources for promotion. I often spend 80% of my time promoting content. I call this the "Core 20" rule of promotion. In my experience, there are generally 20 people in your universe that will highly benefit from the content you create. If you do your homework correctly, those 20 individuals have loyal audiences themselves. They don't have to have large audiences, just loyal ones. Get those 20 people involved BEFORE you create the content. Insert their wisdom into the text, the video, the podcast series, the event. Consider these 20 your executive committee. Keep them updated as to how your content is progressing and when it will be released. Then, ask them to do one thing. Possibly an email to their audience. A few tweets...a FB post. Email is always my favorite. In this way, you have built a content promotion team that does not just rely on your own distribution. Whether you partner with influencers who will help promote the content you collaborated on or take full advantage of all the opportunities here on LinkedIn like building out a healthy LinkedIn Company Page, it’s important to make content promotion an essential part of your content marketing regimen. To learn more about getting your content promotion healthy, be sure to check out the workshop I’m giving at the Content Marketing World conference September 4th: Rocket Science Simplified: How to Optimize, Socialize and Publicize B2B Content. Maybe we should invite Jack and his team, too. If you're looking for great content advice on a daily (or weekly) basis, subscribe today to the LinkedIn Marketing Blog.